In the early morning, meet and greet at your hotel. Today you will discover that life on the water is another side of Thailand. Goods are bought and sold on boats. 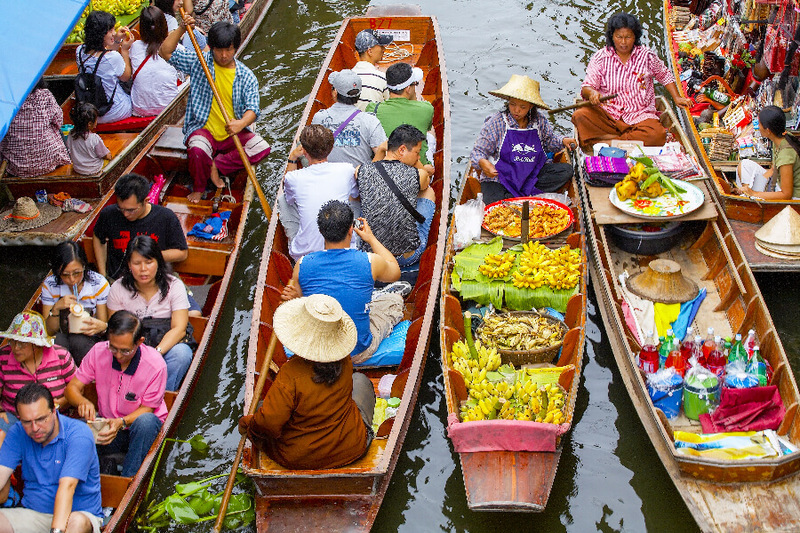 One of the authentic Floating Markets is Damnuen Saduak in Ratchaburi. You will board a fast long tail boat, which will bring you through the narrow klongs to the market. From here you will see many small boats, where the Thai people try to sell their goods, some Thai people even prepare food on their boat. If you want you can take one of the paddle boats to cruise through the market (optional).